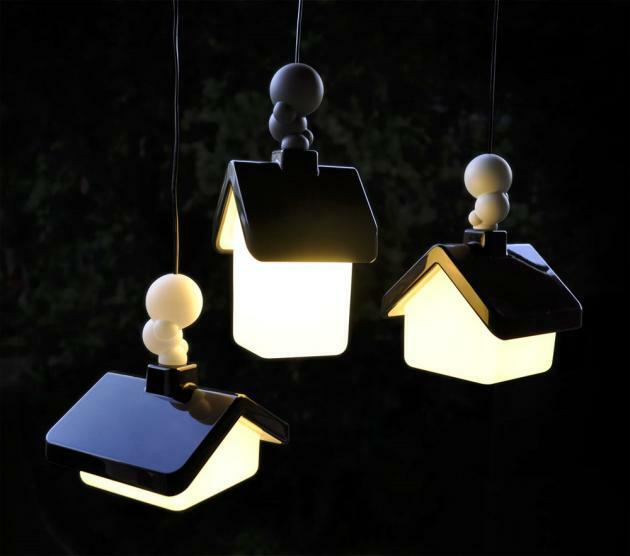 According to designer Kristian Aus, this village of house-shaped lights "represent a tiny sample of the variety of ideas that make up our love-affair with the house." Each light was made using a combination of rotational-moulded PE and rubber parts. The shade is attached to the roof of the house with magnets to allow for easy removal, while the 'smoke' that sits on the chimney is a soft, lightweight rubber piece which adds a touch of whimsy to the overall design.